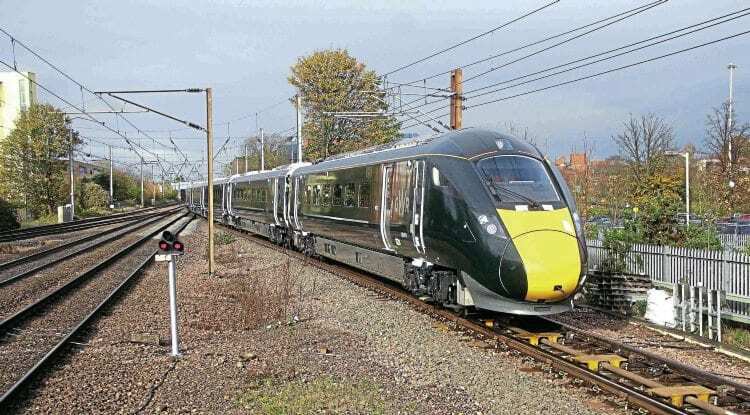 GWR has doubled the number of diagrams for the Hitachi Class 800 IET (Intercity Express Trains) following problems during the introductory week. Each train initially ran two diagrams, using a pair of Class 800 units, but the four sets accepted for service (Nos. 800005/6/8/9) were supplemented from November 13 when sets 800010-013 began operations. This has allowed GWR to change diagrams that begin with the 06.33 Bristol Temple Meads-London Paddington and the 06.45 from London Paddington-Swansea to switch to IET traction, running as 10-car sets. GWR has also taken the opportunity to extend the 17.30 ex-Paddington to Taunton and the 19.30 from Paddington to Weston-super-Mare. Since October 16 the first four sets have travelled more than 30,000 miles and provided an additional 20,000 extra seats into London compared to the HSTs they replaced.